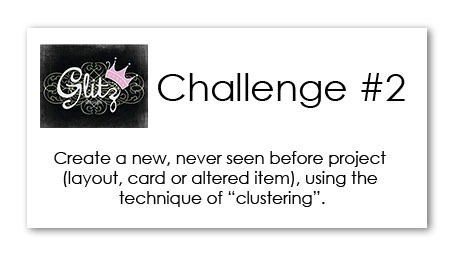 I created a card featuring this "clustering" technique for you today. 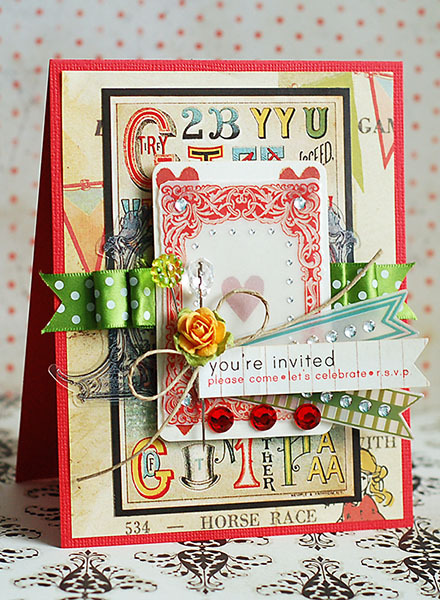 There is a whole bunch of Glitz Design goodness on this card, from the "Love Games" collection. As you will see- I have Paper Layers, Whatnots, Peek-a-boos and Glitzers all clustered together, with other accents added here and there. LOTS of clustering going on, and I love it! I also wanted to remind you that any type of project can be entered into the challenge, as long as it includes this design technique! We want to see it all...layouts, cards, altered items, mini albums- whatever tickles your fancy! 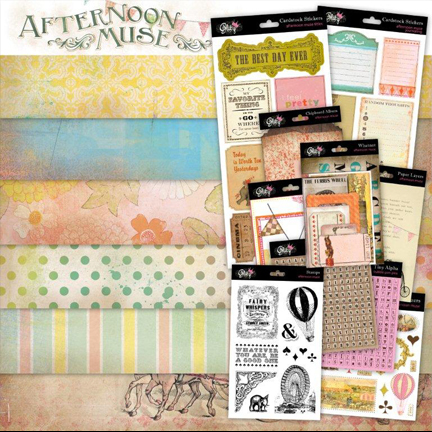 Don't forget, the entire "Afternoon Muse" collection will be won by one lucky participant! Beautiful! I have to give this one a try! Thanks for the inspiration!